How to Disable Lock Screen on Windows 8? Compared with other versions of Windows, Windows 8 has many changes, including the missing Start menu and lock screen. Without the Start menu, users can not shut down or reboot Windows 8 PC in just one click. When you first boot Windows 8, change users or wake from sleep, you’re presented with a lock screen that you must drag up and away before you reach the login prompt. While having the weather, time and number of emails displayed on a lock screen makes sense on tablets and phones, it’s a waste of time on PCs where users just want to see a password prompt and log in. Actually, disabling the lock screen is really easy. In essence, the new Windows 8 lock/login screen is meant to act as a dashboard, flashing up notifications for new email, IMs, and so on. On a tablet, where you swipe the lock screen away and then begin typing, this makes perfect sense. On a desktop PC, though, the lock screen is clunky. Yes, theoretically you only have to tap a key and it slides away, but for some reason Microsoft introduced a delay so that you can’t immediately type your password. As a result, you often end up losing the first few letters of your password, waiting for Windows to tell you that your password is incorrect, and then typing your password in correctly. Step 1. Hit Window Key + R run dialog box appears. Step 2. Type gpedit.msc into the box and hit OK. The Local Group Policy Editor appears. Step 3. Navigate to Computer Configuration -> Administrative Tools-> Control Panel -> Personalization in the left pane of the window. Step 4. Double click (or tap) on Do not display the lock screen. Another dialog box appears. Step 5. Select Enabled and click OK. The change is immediate. Go ahead and press Win + L and admire your new, minimal lock screen. Moreover, you can also learn more information of Windows 8, Here recommends the 5 Start Menu Replacements for Windows 8. After using your computer for a long time, you will found it gets slower and slower. It is probably because the registry needs to be repaired or clean out. You can clean up your computer to make it faster than before. This article lists some free ways for you to clean up your computer. Your computer may be preinstalled lots of program when you purchase it. Many of them run at start-up and stay running in the background to slow down your computer. And there are many applications you probably don’t need such as games, programs that provide support and documentation, online shopping applications, a browser (or two) you’ll never use and some antivirus software. · Start your computer and direct to Control Panel, then “Add or Remove Programs”. · Remove the programs you don’t want. Make sure the program you removed is really unwanted or you have similar alternatives on your computer. Disk Cleanup and Disk Defragmenter is an effective way to clean up old files. You can do it through Start –> Acessories –> System Tools –> Disk Cleanup and Disk Defragmenter. Over time you probably installed a number of plugins, toolbars, and extensions that not only slow down your browser but also clutter your screen. You should check out your browser and remove those you don’t need. If you are running an old computer, then you can consider adding the RAM which will make your computer a little faster. After trying all of these tips, I believe your computer will be faster than before. For more computer tips, you can turn here. After using Windows 8 for quite a while, you may feel that your Windows 8 become slower than it used to be. If your Windows 8 is getting slower, then it’s time to speed up Windows 8. This article introduces different ways to speed up your Windows 8 computer. 1. The first thing you can do is to lower the number of programs that automatically start. You need to type “msconfig” in the search box to access to the Windows 8 Startup Manager Select the Boot option. Here you can enable the programs you don’t need to run daily. 2. Divide your computer’s hard drive into at minimum 4 partitions. C Drive should be used for Windows 8 installations and operations only. You can install other software into the next partition. Use more partitions instead of one. 3. To save some hardware space make sure you don’t overload your laptop with too many gadgets. The cleaner your desktop is, the quicker your Windows 8 will be. 4. Install a good anti-virus program on your computer to make sure you do not have any viruses on your computer. 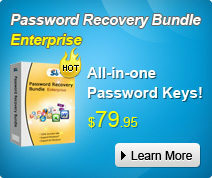 It will keep your Windows 8 system clean, protect personal information and more. 5. Clean out the junk files on your computer. These unneeded files will take up large space on your computer and slow down your Windows 8. Optimizing your computer system involves getting rid of data that is no longer useful to conserve on how much space is consumed in storage. 6. Take a use of the built-in Windows 8 Defragmention tool to optimize hardware in Windows 8. In most cases, hard drive defragmentation will increase Windows 8 speed. Right Click Partition to be Defragmented then select Properties. Choose Tools (Defrag Tool is on the top tab). The six tips will help you to speed up your slowing Windows 8. And for more Windows 8 tips click here.